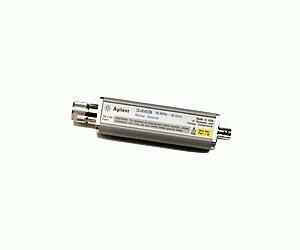 The Agilent 346C noise source is the ideal companion to Agilent noise figure solutions. Since it is broadband (10 MHz to 26.5 GHz), it eliminates the necessity for several sources at different frequency bands. The low SWR of the noise source reduces a major source of measurement uncertainty; reflections of test signals. Option K01 is a coaxial noise source and features coverage from 1 to 50 GHz with a 2.4 mm coaxial connector.